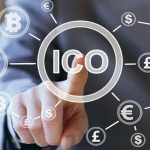 At the end of last year, the first reports of the forthcoming ICO Telegram were published. 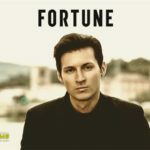 There were no official announcements from the Pavel Durov company (as well as still), but at once people were ready to invest in a project about which they did not know anything. 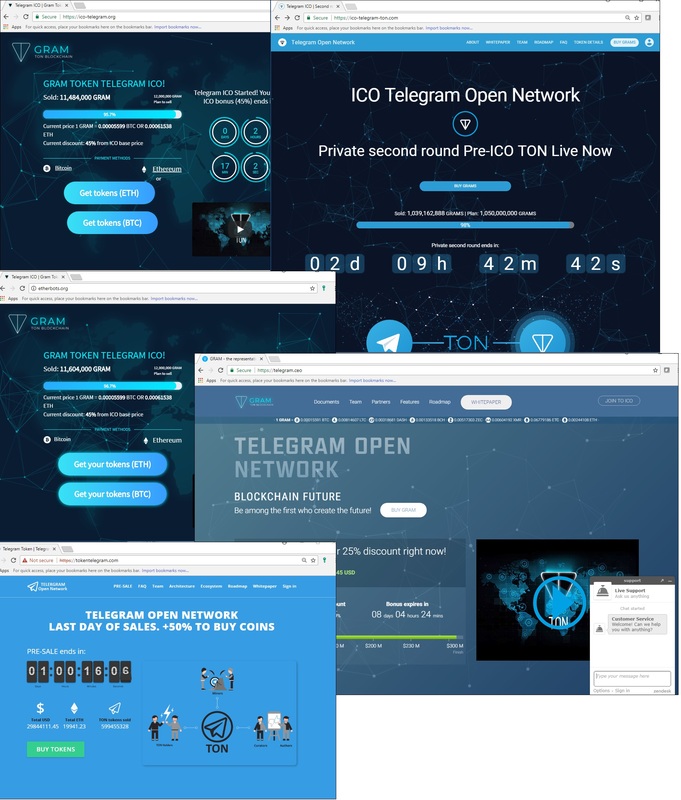 Their number increased when at the beginning of 2018 a document published in the network that described the plans of the Durov brothers for the creation of the Telegram Open Network (TON) platform based on blockchain with own cryptocurrency named GRAM. 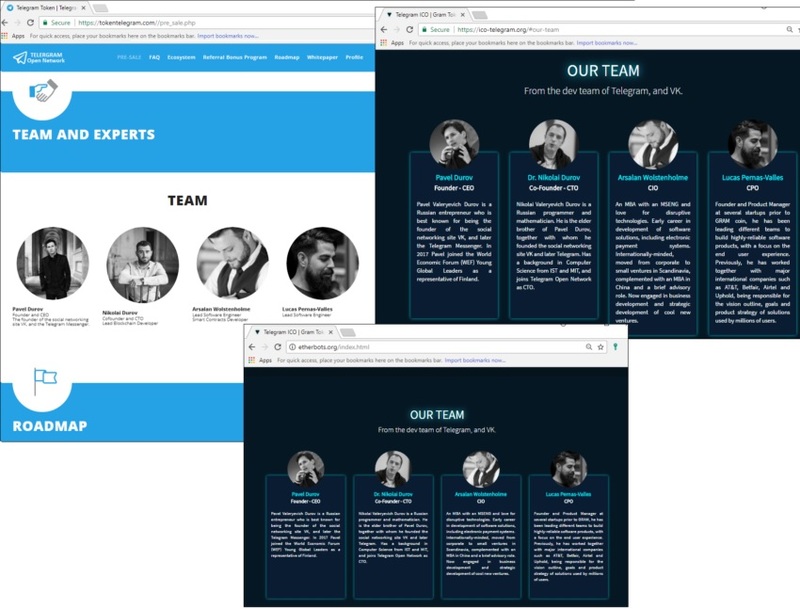 Except persons interested to make investments, there were also scammers who sold ICO-tokens GRAM. Attackers have created many websites that also offered GRAM. 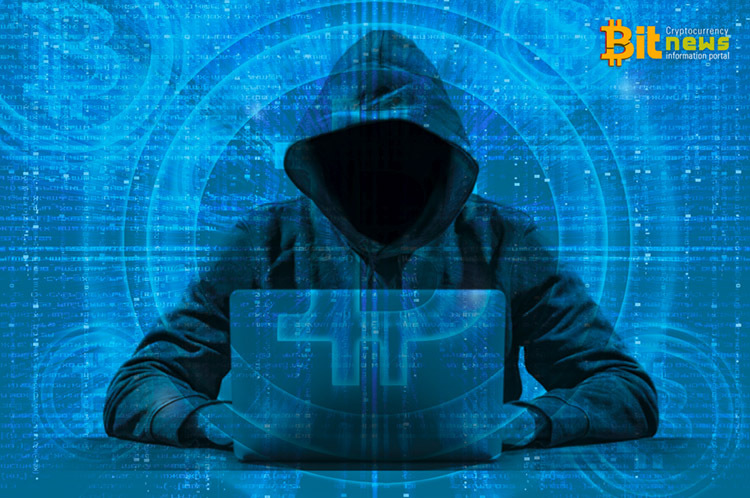 At the end of March, scammers took advantage of the Telegram vulnerlability, which has connected to the power supply of the servers (apparently not only for the messenger). Communicating with users on behalf of the owner of Telegram on Twitter, the attackers staged a "lottery" and stealed about $ 30,000 (according to other sources - about $ 60,000). 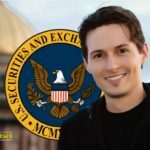 Despite the warnings of Pavel Durov, people do not stop trusting scammers. The situation is worsened by the fact that, as Kaspersky Lab notes, the scam websites are professionally decorated, and their creators use VPN-services to avoid being exposed. Tracking stolen funds is difficult, since scammers generate new wallets for each victim. 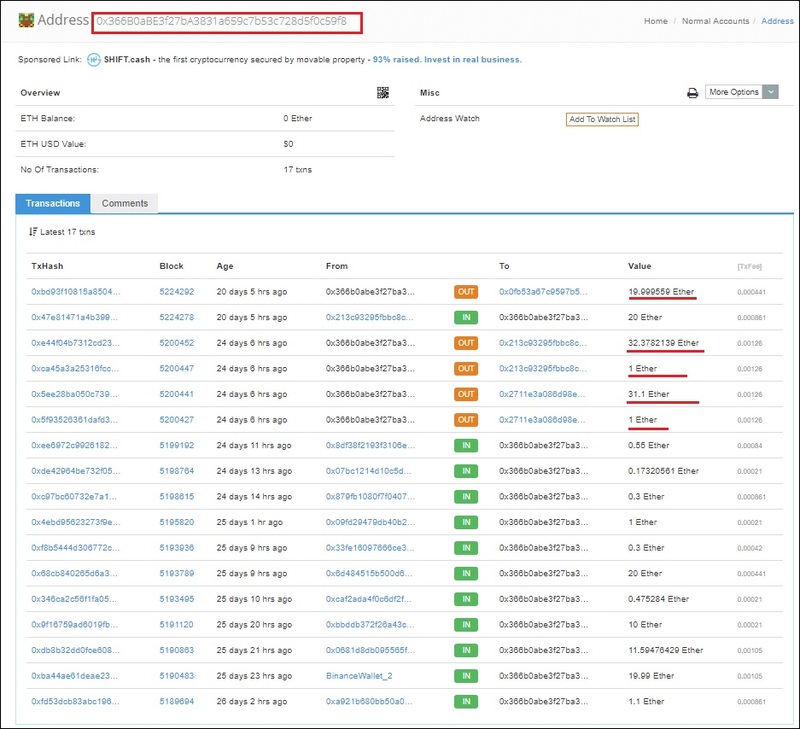 However, according to the researchers, there are also static wallets, and at least 85 ETH have been transferred to one of the victims. Another fraudulent website collected 2 million rubles in ETH. Since then, the ethereum rate has risen from $ 445 to $ 572, and the "earning" of scammers at the moment is about 3 million rubles. © 2018 bit.news | queries 227, for 0.544 sec.